National Book Lover’s Day ! 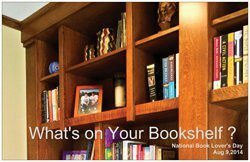 - Roberts Architects LTD Roberts Construction Group, Inc.
National Book Lover’s Day ! What’s On Your Bookshelf ?